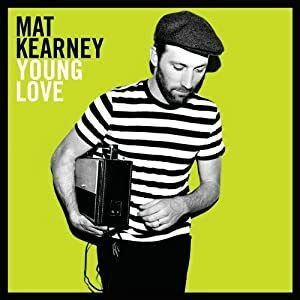 Mat Kearney has an enjoyable new CD available; Young Love; his fourth album release. The albums first single, “Hey Mama” was released on May 10, 2011; and the entire album in August 2011.. Young Love has topped the Top Christian Albums, Top Digital Albums, and Top Rock Albums charts. The album has a raw quality to it. A distinct drum beat, almost Jazz Funeral Band likeness to my untrained ear; which could become monotonous; however, the song line up mixes it up enough for relief. A mostly up beat offering, the chart popularity isn’t wrong! You can find live performances list on Kearney’s website: http://www.matkearney.com/events.aspx. This album was provided in exchange for an unbiased review. I am disclosing this in accordance with the Federal Trade Commissions 16 CFR, Part 255 "Guides Concerning the Use of Endorsements and Testimonials in Advertising."